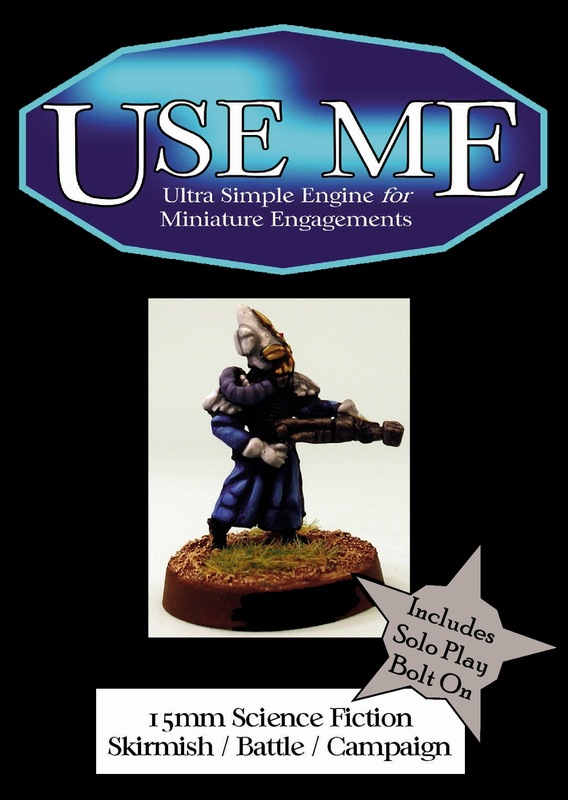 One of my fondest creations as a humble creator of wargaming content and books is USEME. 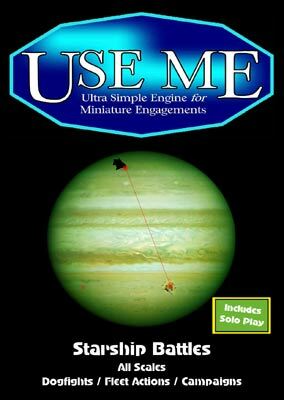 The 'Ultra Simple Engine for Miniature Engagements' system has a dozen titles to its name and in print and download has been all over the world with eight thousand copies sold since first release. 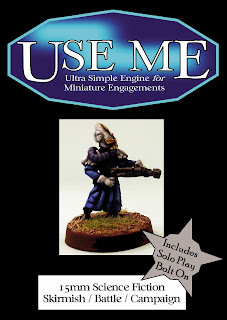 I have played and seen played games with USEME from five 15mm figures a side to five hundred at conventions. Science Fiction, Fantasy, Historical, Starships, Zombies and more and all really easy plus without a setting you can fit them to your own wants. 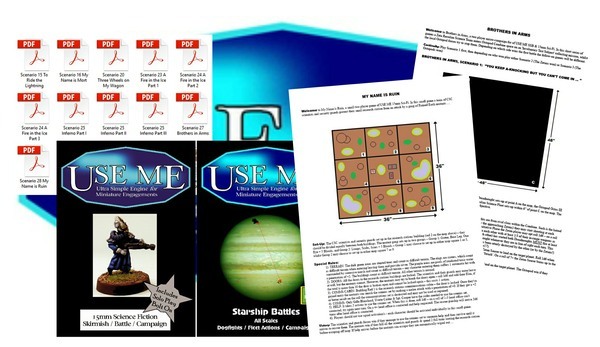 A prolific writer of scenarios and wargaming ideas it is my pleasure to present to you all the second free bundle for USEME written by Vic Dobson. 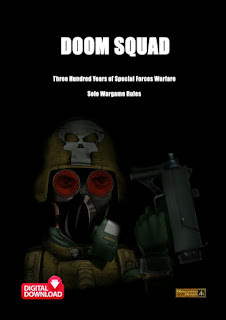 This new bundle follows up on Bundle One as well as free Mini-Campaigns and other scenarios such as Outland 2114 all written for UM001 15mm Science Fiction and UM006 Starship Battles. Generic works which fit in great to your gaming. See all these others by working the history of the USEME TAG on our blog and download the new bundle below. Enjoy the free! A total of eleven new scenarios written by Vic Dobson for 15mm science fiction and for fleet scale Starship Battles with the USEME rule system. Rescue VIP's from a crashed shuttle in 'To Ride the Lightening', cultists try to summon the dark lord in 'My Name is Mort', a corporate vehicle carry supplies tries to escape any colonist miners in 'Three Wheels on my Wagon' and 'My Name is Ruin' where a small group of scientists and guards try to hold off wasteland mutants. For starship gaming there is 'Brothers in Arms' which sees Alien Greys entering Octopod space in a vicious encounter. Two small campaigns as well. The Federal Systems enter Neo-Sov space to destroy a moon base and more in the the three part 'Fire in the Ice' starship battle campaign. In the three parts of 'Inferno' the Neo-Soviet ground forces try to defeat the Xiberian Insurgency in close in battles. Hosted on the Alternative Armies website you can download the bundle by clicking HERE. If you have enjoyed the free scenarios and bundles for USEME then perhaps you might like to get in on these great and simple rule systems. Visit our website HERE for the dozen titles currently in the series in print and as digital downloads. All play in less than an hour and you can learn them in one or two play through sessions. Great for getting children into gaming and if you only have short window to play plus play them solo. Science Fiction, Fantasy, World War Two, Modern Warfare, American Civil War, Starship Battles, Wild West, Zombie Dawn, Support Pack, Cyberpunk and Eldritch Horror. Little books at little prices. Here at Alternative Armies we have two new week long deals on two entire ranges every week. Each offer is 10% off every code in two entire collections of our website. Every pack, unit, box, book and so on in the collection is ten percent cheaper than its normal price for seven days. It changes every week at midnight GMT Sunday so it is well worth a look to see what we have on offer from our vast choice. 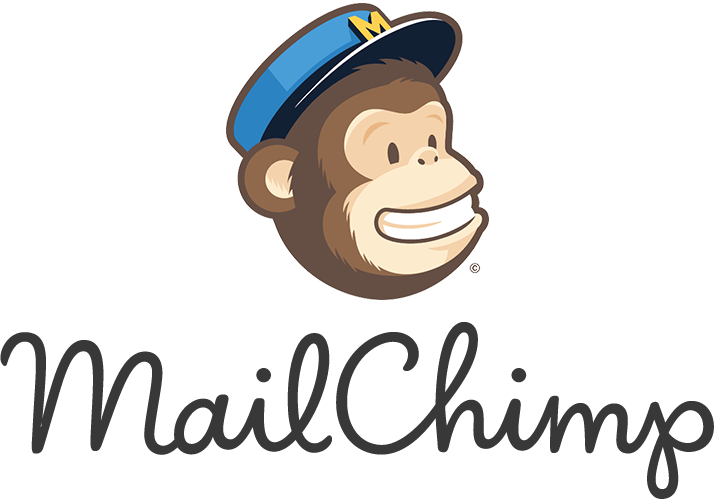 Go HERE for the page and it is well worth seeing every Monday what the new deals are. This week the offers are on are the Von Rotte Legion Dwarves for Flintloque and the fantastic SHM 15mm Science Fiction range.